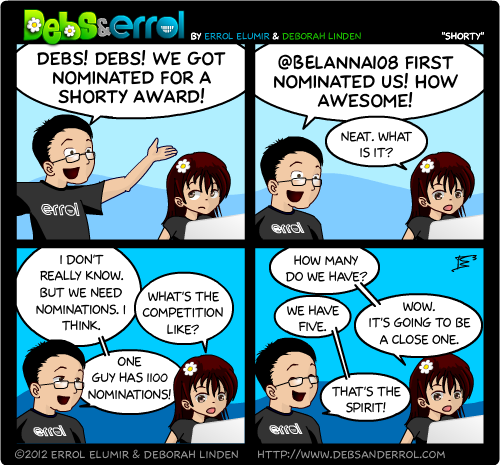 Errol: I only heard about the Shorty Awards when Geek Hard was nominated for it. 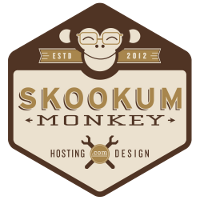 If the criteria were simply the amount of content we put out, I think we’d be in for the winning! Ah well. I am pleased that BElanna108 nominated us! Thanks! And then a few others also did! Huzzah! But I’m Twitter-less. I’ll definitely cheer from the sidelines, though! Oh hey, now worries. As I’ve said, I still don’t understand Twitter all that much. I use it as one very inefficient way to chat. That’s pretty much all it is as far as I can tell looking from the outside. Also, random related fact for you, Patrick Stewart (Picard from ST:TNG just on the off chance you couldn’t place the name) has said in an interview that he doesn’t use twitter, so you’re in excellent company. ‘Fraid I’m in the same boat as Paige :/ good luck though! Haha! Stick it to the man! I prefer to think of it as a yacht.